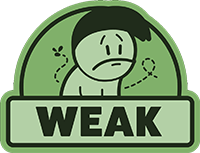 Demetrios - The BIG Cynical Adventure is ranked in the 24th percentile of games scored on OpenCritic. Demetrios: The BIG Cynical Adventure is a fun game to play. The humor was top-notch, and it has a lot of replay value if you plan on getting all the game over collectibles. The game even features a Platinum Trophy which will certainly please many gamers. Overall, the game is worth your time and money. The graphics are easy on the eye and very polished. The music is also upbeat and fits the general tone of the game. 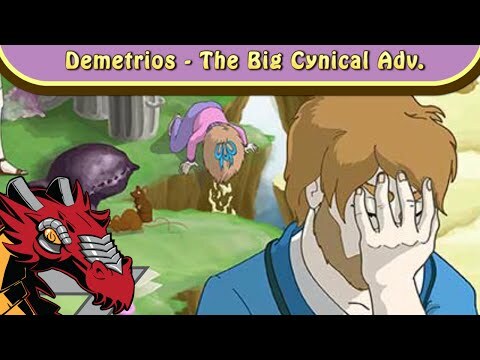 In the end, if you're looking for a fun game to play and love point and click adventures, then you'll be having a good time with Demetrios: The BIG Cynical Adventure. It has a great story, some incredible visuals, and a lot of funny collectibles that you'll want to find to see all the ways Bjorn can fail at his "mission"! … a quirky point n’ click title with a perfect blend of smart, mature, and pop humour that tells a refreshingly new story without pushing itself into the realm of slapstick exaggeration for the sake of a gag. With its hand-drawn environments, plentiful jokes, and reasonable 8-12 hours of play, Demetrios has a lot going for it. While it may look like a dirty cartoon, Demetrios: The BIG Cynical Adventure is endearing and eminently playable. While navigating can be frustrating, and there's not a lot of variety in terms of missions, this is a great example of how to engage the player. The dialogue is charming, there are lots of side quests, and the story is very engrossing. Do yourself a favour and overlook the few flaws, for this great adventure far exceeds the issues it has. By the end of the game I was glad I got to experience Demetrios: The Big Cynical Adventure. It’s a fun point-and-click adventure game full of humor. 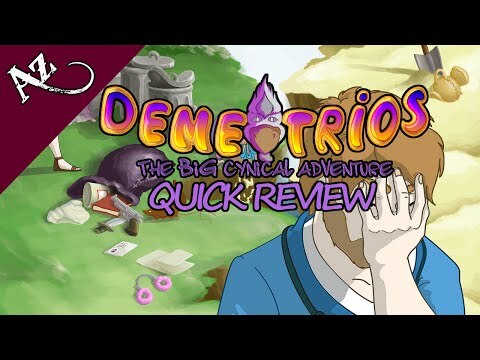 Demetrios – The BIG Cynical Adventure isn’t really filled to the brim with cynicism, but it does have a decent humorous tone throughout. While the characters aren’t exactly the most likeable people, the puzzles do present a decent challenges to solve, with a well implemented hints system for when you get stuck. If you like classic point & click adventure games, then Demetrios is worth a play. Demetrios doesn’t take very long to complete, and the puzzles aren’t so challenging that you risk eating all of your cookies for hints before reaching the end. That may be a turn-off for some, but this game is more about the humor (especially the toilet humor) than the riveting gameplay. The humor is why I stayed up late playing, and it’s that humor that prods me to recommend this title to Vita owners. Even if you don’t like toilet humor, which did get rather old about halfway through, there is an option to cut it down or remove it entirely. It’s still just as funny without it. The important thing to remember about this Big Cynical Adventure is to not expect a deep story throughout. It’s about as deep as a toilet. Demetrios is a solid point and click title from Cowcat. It is point and click and dialogue-driven, even to a fault at some points, but the difficulty will be enough to offer up a challenge to those who love the genre. Demetrios certainly isn't perfect, much like its main character, but it is intriguing enough to warrant a go. Demetrios – The Big Cynical Adventure isn't the best game I have played but it certainly is fun and has its moments that will make you laugh. It also offers a fair amount of actual gameplay before the credits roll. With the addition of trying to reach all of the achievements, there is plenty of gameplay to go around. Demetrios - The BIG Cynical Adventure is a low budget point and click title that relishes in being unconventional. In spite of low budget, Demetrios is a game with solid gameplay, good controls, interesting puzzles and original humor. With all its reference, heritage and lineage, what Demetrios loses in consistency it makes up with heart. It's clear that the person behind the ones and zeros is in love with the genre, albeit a genre that leaves no place to hide. It's difficult to ignore the dips in an otherwise generous and gracious video game. The puzzles are involving and interesting, and the mechanics are well integrated into the weave of the design. For fans of the genre, there is a lot to like here, but there is also a lot that might put some people off. Luckily, it turns out that the developer may have done enough to stop putting many people off, but only just. You’ll get a big point and click adventure for your money, but just be prepared for a slow burner with a fair few annoyances. Not everyone will appreciate the crass world of Demetrios but those who enjoy point and click adventure games and ham-fisted humour will definitely like what this Big Cynical Adventure has to offer. While the typical genre trappings are all here: searching for objects, talking to people, and solving puzzles using your inventory items in sometimes unusual and unexpected ways, it’s consistently the game’s humor that strays from the norm. Whether in the form of Bjorn’s simple comments on items he encounters, the dialogue he gets into with others, or some of the things you can do to kill (you’ll come right back to where you left off, why not find out what happens?) or entertain yourself this really is what makes or breaks the game. Can it venture into the more juvenile, sure, but there’s no doubt an audience that get a kick out of it. Aside from that it’s a mostly generic experience but I’ll give it credit for choosing a lane and sticking with it, providing something a little different in the process. Demetrios: The Big Cynical Adventure has a lot of qualities going for it, all of which centred in the gameplay department... but it stumbles in at least two of the main draws of a point-and-click adventure. Harking back to the days of Sierra with a more indie darker bent. It’s hard to say anything bad about Demetrios – The Big Cynical Adventure. The game is the project of a single guy, and the amount of effort put into the game is certainly commendable. The humor, while crass and immature, is great for people who can laugh at these kinds of jokes and gags. But the game has a lot of issues, some of which are nigh impossible to ignore. Gameplay is perhaps the most serious offender, with most of the puzzles and minigames offering little to no challenge whatsoever. A significant portion of the jokes fall flat, with a special cringe award going to the numerous unfunny references to other games like Uncharted and Call Of Duty. The toilet humor is simply not clever enough, and we highly recommend lowering or turning it off in the settings. Audio design is also not up to par, with a number of missing elements that become more noticeable over time. We would recommend this purchase to people who like old-school adventure games, don’t mind toilet humor and can overlook the game’s many faults. If you don’t fall under any of these categories, then you might want to re-evaluate your choice before you purchase this game. Demetrios is a hilarious but simple point & click adventure game. It's not the best in any aspect, but it's good enough to give you a cheap laugh and keep interested and smiling for a whole game. Demetrios is a valiant effort from one-man developer COWCAT at reviving the witty point and click adventure game, but ultimately its selling point - the humour - is its downfall. The gameplay is fun and puzzling, the graphics are quirky, and occasionally the dialogue does get a giggle, but the characters are too unlikable and the jokes too obnoxious to make all ten hours (a good amount for a game of this genre) enjoyable. If you’re the type of person who’s more of a fan of Demetrios’ intentionally crass sense of humor, it may be worth a whirl, especially given its modest fee. Demetrios is nothing that great. Or special. The crudeness is unnecessary. The amount of things to sift through is unnecessary. And unfortunately, nothing entirely makes up for these downfalls. The big adventure of Demetrios isn’t all that cynical, but it certainly is forgettable. I can’t say the game is bad, because it’s not, but also I certainly wouldn’t tell you it’s good. Instead, it’s nothing more than a name added to a list of titles I’ve beaten, and it will never be anything more than that. Demetrios - The BIG Cynical Adventure brings a point and click adventure with a questionable humour, that may attract a certain kind of player, but still fails to impress or inovate the genre. Demetrios: The Big Cynical Adventure disappoints on almost all fronts. It doesn't look or sound good (not even for its über-indie production values), its tiny content is stretched over too many hours, the "puzzles" are either easy, boring, or both, and the core of it all, the toilet humour, just doesn't have what it takes to keep things interesting. Demetrios - The BIG Cynical Adventure, from the one-man operation at COWCAT, presents a forgettable tale of Bjorn Thonen and something regarding saving the world. The bad quips and immensely unlikable cast make for a sub-par adventure game that looks great but sounds and feels uninspired.